Samsung's not one to be left behind, and in its latest effort to keep on the wearable trend the Korean company is believed to be considering with a partnership with Under Armour. Lee Jae Yong, son of Samsung chairman Lee Kin Hee (and supposed heir of Samsung Electronics) apparently met with Armour CEO Kelvin Plan to chat about how the two can retaliate against Apple's partnership with Nike, says Yonhap News. Samsung's already said to be prepping a Google Glass rival and potentially a separate virtual reality headset too. But when it comes to fitness, its efforts have felt half-hearted: S Health was a good start but the fitness features of the Gear 2 and Gear Fit leave a lot to be desired. However, with the ever-looming iWatch potentially the biggest wearable threat yet, Samsung probably feels the pressure to make sure it has a good foothold in this market. 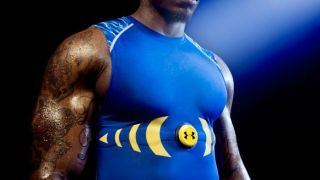 What a Samsung-Under Armour collaboration might look like is up for speculation, but with Under Armour already producing a number of fitness trackers and even some smart clothing, there are plenty of plusses in this for both parties right now.